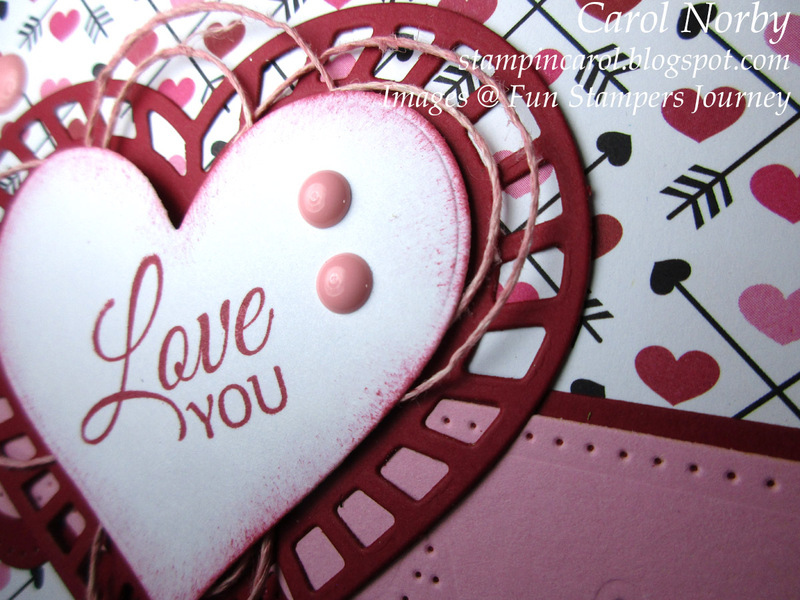 Here's the 4th and final card I'll be teaching next Friday at my Valentine Card class. This one is my favorite of the 4. I love the simplicity of this card but to me it is also very elegant! And look at that paper! Isn't it just gorgeous! Anyway, I started with a base of Cranberry Bliss and added a layer of Through the Year Prints. I also used Bubble Gum and Whip Cream card stocks. 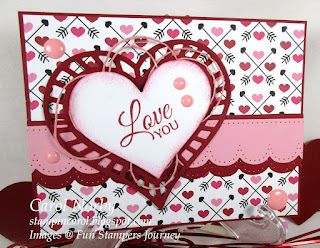 The hearts were made using our Heart Film die and the scallops were made using our Border Basics dies. 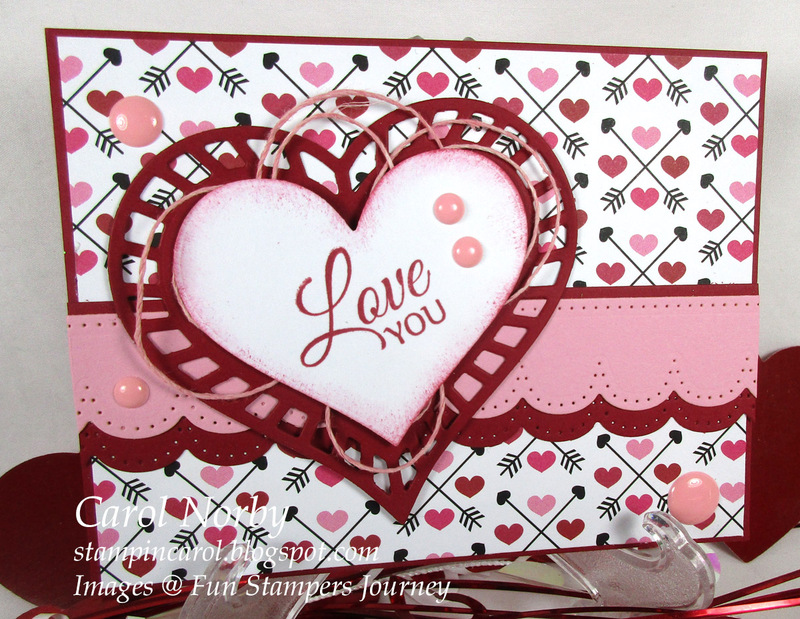 I used Cranberry Bliss ink and a sentiment from Ampersand Notes along with sponging some Cranberry Bliss ink on the heart to make the focal point. A bit of Bubble Gum Thread and some Candy Drops finished the card.